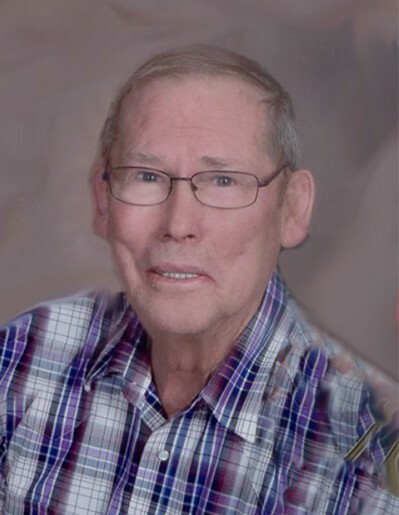 Herbert “Bert” L. Hanson, 82, of Onawa, Iowa, passed away on Wednesday, November 14, 2018, at Mercy Medical Center in Sioux City. Funeral services will be 10:00 A.M. Monday, November 19, 2018, at St. Paul’s Lutheran Church in Ute, Iowa, with Pastor Nathan Peitsch officiating. Burial will follow in St. Clair Cemetery in Ute. Visitation will be 4:00 – 7:00 P.M. Sunday, November 18, 2018, with a prayer service at 6:00 P.M., at the Rush Family Chapel in Onawa. Arrangements are under the direction of Rush Family Care Service in Onawa. Herbert “Bert” LeRoy Hanson was born on June 18, 1936, in Onawa, to Emil and Mabel (Barker) Hanson. He grew up in Onawa and graduated from Onawa High School in 1955. He worked for the Monona County Rural Electric Association, later called the Monona County REC, until he retired in 1998. After retirement, he worked for many different farmers in the area, as well as odd and end jobs including carpentry work. Bert married Sharon Denney on August 30, 1954, in Vermillion, South Dakota. He later married Kay Jean Gregerson on June 19, 1993, at St. Paul’s Lutheran Church in Ute. They enjoyed traveling together. Bert also enjoyed hunting and fishing. He was a city council member in Onawa for many years, and a member of the WIPCO Board of Directors for 12 years after his retirement. He was a founding member of Western Iowa Municipal Electric Cooperative Association. He also was a member of Ducks Unlimited and of St. Paul’s Lutheran Church in Ute. Survivors include two sons, Lynn Hanson and special friend Joey Sprieter of Litchfield, MN, and Charlie Hanson of Atlantic, IA; two step-daughters and their husbands, Sara and Rick Cline of Omaha, NE, and Rita and Craig Brodersen of Charter Oak, IA; five grandchildren, Curt and wife Lori Hanson of Cokato, MN, Tara and husband Greg Wagner of Fergus Falls, MN, Cody Hanson of Atlantic, IA, Travis and wife Emily Hanson of Atlantic, IA, and Kaye Lanie and husband Ryan Colling of Granger, IA; eleven great-grandchildren, Maddi Hanson and special friend Elijah Robinson, Graice Hanson, Ella Hanson, Ben Hanson, Alyssa Wagner, Emma Wagner, Isaac Wagner, Lily Hanson, Gunnar Colling, Emmet Hanson, and Olivia Hanson; one great-great-grandson, Elijah Robinson; five step-grandchildren, Tyler Corbitt of Portland, OR, Breanna and husband Milo Rabourn of Newton, IA, Kendall Corbitt of West Des Moines, IA, Justin Ferraro of Omaha, NE, and Molly Cline of Omaha, NE; one step-great-grandson, Corbin Rosburg; one step-great-granddaughter, Ellie Rabourn; one brother and his wife, Lyle and Joan Hanson of Midland, MI; three nieces; and many other relatives and friends. He was preceded in death by his parents, Emil and Mabel Hanson; his stepmother, Fern Hanson; and his wife, Kay Jean Hanson on February 4, 2018.